It seems inevitable – a skunk on your property means someone or something is bound to get sprayed! Skunks will mostly keep to themselves but they are always a threat to spray a person or pet if they feel threatened. Dogs are especially prone to get “skunked” because other animals peak their curiosity and they are unaware they will get sprayed. Skunk spray odor can last up to a month if not treated. In fact, if a skunk has died near your home, the odor will last much longer. Skunk spray is an oily substance made of a mixture of sulfur-containing chemicals such as thiols. This scent is difficult to remove and traditional at-home remedies like tomato juice, are actually ineffective. If you, your home, or pet has become the victim of a skunk’s stinky spray, follow these tips to learn how to get rid of skunk smell. Many people believe the old myth that bathing in tomato juice or paste will eliminate the smell of skunk spray. In reality, it is ineffective because it cannot break down the oils from the spray. Other remedies such as citrus juice, perfume, and air fresheners are also ineffective for getting rid of the skunk smell. *Make sure this solution is mixed well. Do not mix ahead of time as it will lose its potency. This solution can be used on your body, hair, and clothes as well as your pets to eliminate the skunk odor. If your body or hair has been sprayed, give yourself a bath in the solution and rinse in the shower. You can wash your hair in the solution as well but be careful to avoid getting it in your eyes. If the skunk spray got in your eyes, immediately flush your eyes out with water. This process may have to be repeated several times for you or your pet to fully eliminate the skunk smell. Keep your pet outdoors to keep the smell from lingering in your home. Mix up the solution above to clean your pet. Use this mixture immediately. The longer the smell is on your pet the harder it is to remove. After creating the mixture, rub it through your pet’s fur, and don’t leave it on for very long because it can cause bleaching. Finally, wash your pet with pet shampoo and conditioner and rinse clean. Your pet will be smelling sweet and skunk-free! Assuming a skunk has sprayed you, follow the same steps above. You may need assistance from someone else. To clean your clothing, immediately remove them and soak the clothing in a hydrogen peroxide solution (1 part hydrogen peroxide to 6 parts water) for two hours. Then wash your clothes in hot water with the strongest laundry soap you have. Make sure to wash the clothes alone, so your other laundry doesn’t pick up the skunk stench. Finally, dry them outside in the sunlight to help neutralize any remaining scent. Sometimes you may have to consider getting rid of those clothes. First, don’t make the mistake of letting your dog who got sprayed run around the house. They can leave the smell everywhere, including furniture and rugs. If you’re not sure where the skunk smell in your home is coming from, try this method. Leave bowls of white vinegar around your home in the strongest smelling rooms. The vinegar should absorb most of the odor in about a day. Be sure to keep your windows open and let the scent waft outwards. Sunlight can also help neutralize odors, so keep the windows open to let in the sunshine. In addition, keep fans going throughout your home to disperse the odor outdoors. You can even go as far as shampooing your carpets and deep cleaning fabric on chairs and sofas. Finally, finish up with air fresheners that have deodorizing action. This entry was posted in Skunks and tagged skunk spray, skunk spray removal, skunks on July 7, 2016 by Attic Solutions. Are skunks invading your yard or home? If you’re familiar with the pesky creatures, you know they have a tendency to dig up your flowers and gardens. In addition, their pungent spray is enough to scare away any predator, including you and your pets! Though we recommend contacting professionals to remove your skunks safely and effectively, here are a few of our suggestions repel skunks in the mean time. The fastest way to repel skunks is to remove all food sources. 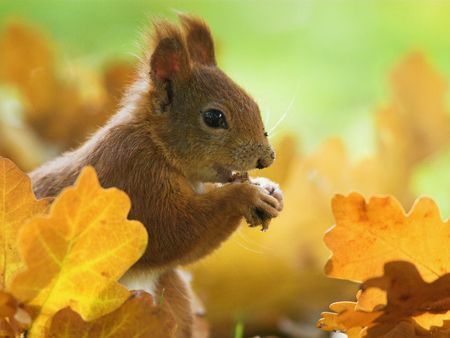 If your yard has no tasty, easily accessible food pests will find a new home. Keep all garbage cans tightly shut. Do not leave pet food or water dishes out overnight. Pick up any fruit that may have dropped to the ground from fruit-bearing trees. This step may be exhaustive, but it can prevent skunks and other pests from coming to your home. Skunks are nocturnal animals, which means they are most active during the night. Bright light has the potential to scare them away for a short time. This method is moderately effective, as skunks become accustomed to the light. Shining a bright light on your garden may repel skunks for a little while, but it isn’t very practical. Additionally, it is not very cost effective to blast your entire yard with a bright lighting system. If your home has an automatic sprinkler system in place, you may have a short-term solution to your skunk problem! Automated sprinkler systems can squirt any animal that triggers the motion sensor. The skunks in your yard may be frightened enough to leave for good, but they may also become familiar with the water and ignore it. There is no approved poison for skunks. In fact, it is illegal to kill them by use of poison. However, you can try using a natural repellant recipe to deter skunks from digging up your garden. Boil up cayenne pepper, jalapeños, and yellow onion, then strain the mixture, and keep the remaining liquid in a spray bottle. Use this every 3 days on your garden, plants, or whatever you want the skunk to avoid. This recipe can be successful if used continuously. Barriers can be effective against skunks, because they are poor climbers and jumpers. Use mesh wire on any areas of your home that skunks may want to dig and nest near. Placing this wire about 3 feet high should prevent skunks from penetrating the barrier. Use this in areas like sheds, decks, and openings near your home. This entry was posted in Skunks and tagged get rid of skunks, how to get rid of skunks, natural skunk repellant, remove skunks, repel skunks, skunk pests, skunk repellant, skunks on July 5, 2016 by Attic Solutions. The striped skunk is native to North America and the most commonly found species of skunk in Illinois. In fact, the Cree and Ojibwe word shee-gawk, which means skunk-land, is the root word for Chicago. Skunks are known for their distinct black and white striped fur and pungent spray. Striped skunks typically breed one time per year, with mating season occurring between February and April. Kits are born in May or early June. Litter size is usually 2 to 10 kits, but occasionally litters are larger. Kits become independent after about 3 months. Skunks are nocturnal and active at night. Striped skunks dig dens to use for nesting during the warmer months. They also occupy dens built by other animals, if available. They generally live in brushy, woodland areas but in northwestern Illinois, specifically, the skunk population actually prefers cultivated areas. They also use their dens for resting during the winter months. They do not hibernate. Instead, skunks live off their fat reserves and occasionally forage for food. Skunks are insectivores but the striped skunk eats other animals or vegetables as well. Since they are opportunistic animals, they’ll eat whatever is easiest to find. They usually eat beetles, caterpillars, grub, worms, and grasshoppers but will eat eggs, frogs, and mice during colder months. They also eat fruit and vegetables like apples, cherries, berries, and corn that have fallen to the ground. The skunk has few natural predators due to its powerful musk spray. Wolves and coyotes will avoid them unless food is scarce. Because of this, it’s important to remove skunks from your property, as natural predators will unlikely resolve the issue. Skunks have a poor homing sense. Once they leave your property will usually not return. However, if you see the same skunks regularly, they may have built or found a den near your home and plan to stay. If you discover skunks on your property call pest control immediately to have them safely and effectively removed. This entry was posted in Skunks and tagged illinois skunks, skunks, skunks in illinois, skunks of Illinois, striped skunks, striped skunks illinois on June 11, 2016 by Attic Solutions. Now that we’re well into summer, you’ve probably smelled that familiar musky odor that can only be a skunk more than a few times. While skunks are a commonly known critter, there are still many myths about them. Since this is the time of year for increased skunk activity, it’s a perfect opportunity to dispel some myths about our smelly friends. Tomato juice will remove the smell of skunk spray. We’ve all heard this one. In fact, you probably know someone who has bathed themselves or their pet in tomato after an unintended encounter with a skunk. Unfortunately, bathing in tomato juice will only make you smell like, well, tomato juice. And once the tomato juice smell goes away, you’ll be back to smelling like a skunk. See, a skunk smell is so strong your nose actually gets used to it by binding your smell receptors. This phenomenon is called olfactory fatigue. Skunks will spray you if you get too close. Skunks only spray when they feel threatened or are frightened. It is their natural defense against predators and that’s what they use it for. If you find yourself close to a skunk avoid making rapid or quick movements or shouting. Dogs usually only get sprayed when they start jumping toward the skunk and/or bark. Simply walk away slowly and you should be just fine. Since skunks are nocturnal, they only come out at night. Skunks are indeed nocturnal, but that does not mean they only come out at night. Some come out during the day to search for food if a predator has been preventing them from venturing out at night or a mother has been tending to her young. Fox urine is a skunk repellant. Sorry to disappoint, but fox urine will not repel a skunk. The conventional wisdom was, if you spread fox urine the skunk would smell it and be frightened away since the fox is a natural predator. If skunks always ran away from fox urine, they wouldn’t have too many places to go in the wild. As soon as you suspect you may have a skunk infestation, call us immediately at 847-464-1861 for removal. We are trained professionals and equipped to deal with wild animals. This entry was posted in Skunks and tagged skunk control, skunk removal, skunk removal Chicago, skunk smell removal, skunk spray removal, skunk trapping, skunks on August 10, 2015 by Attic Solutions. Summertime in the Chicagoland area usually means warm weather and longer days. It also means animals are out moving about and mothers are teaching their young how to forage. This time of the year you need to keep a lookout for animals who just might be trying to take up residence in your home. And they do not plan on paying rent! Raccoons love food and there is an abundance of that this time of year, thanks to picnics and barbeques. Be sure to bring in your garbage cans as quickly as possible (try not to leave them out overnight), and keep any exterior porch or garage doors shut. Opossums are shy animals that only act scary to frighten away would-be predators. These meek creatures spend their nights in search of food, and now that it is warm out there is a tendency to have our pets and our pets’ food outdoors. If you leave pet food out, you can bet you will have an opossum taking up residency shortly. To keep them out, remove any food and do not feed your pets outside. So what do we do now! Now that is has warmed up, the birds are flying north again! Be on the lookout for any that may have nested in your chimney, attic vents or soffits, or vents. While all the birds have likely hatched by now, some may have decided to call your house their home. Permanently. If you are just looking to prevent any birds from moving in, consider a chimney cap and wire mesh around any exterior vent or soffit openings. I sure hope no one sees me here! These nocturnal creatures are out and about now that it is nice out. Window wells are an easy spot for these opportunistic animals to sneak in. To animal-proof your window wells, consider putting a plastic or metal grates over them. Who can I tag next! While we’re past full-blown skunk season in Chicago (it’s generally February through late March), there are still plenty of these smelly creatures around. Skunks aren’t much for foraging, so they go where the ground is soft and there are plenty of people. Skunks have been known to burrow under decks and porches, and an outdoor motion-activated floodlight might help scare them away before they move in. This entry was posted in Birds, Opossum, Raccoons, Rats & Mice, Skunks and tagged animal removal, bird nest removal, opossum removal, skunk removal, summer animal removal, summer wildlife control, wildlife control tips, wildlife removal on June 21, 2015 by Attic Solutions.